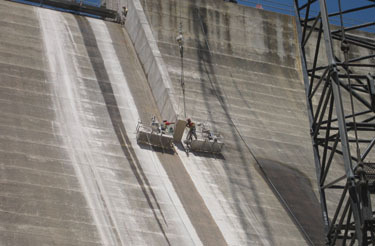 The San Diego County Water Authority has posted a photographic tour of the San Vicente Dam Raising Project. Click here to see it. The November Lakeside Community Planning Group Update also has a few pictures. I’m on the waiting list for a tour, and will post photos and more detail here afterwards. This entry was posted on November 18, 2009 at 2:08 pm	and is filed under Environment, Land use, Water. Tagged: San Vicente Reservoir. You can follow any responses to this entry through the RSS 2.0 feed. You can leave a response, or trackback from your own site.